With vineyards of unparalleled beauty, Bodegas Bilbaínas is the birthplace to some of the world's most renowned wines. The delightful green of the grapevines' leaves contrasts beautifully with their historic trunks, wrinkled in witness of the passing of time. 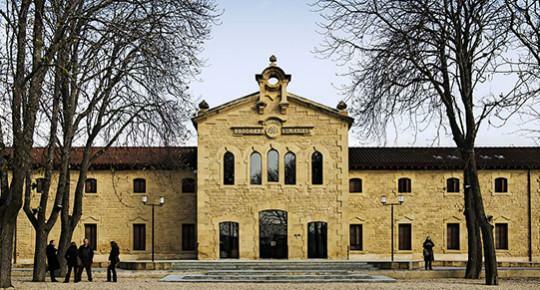 Bodegas Bilbaínas is located in the Barrio de la Estación of Haro, the most prestigious place of the Rioja Alta wineries. Known as the oldest bottler in Rioja and the largest vineyard owner in the Rioja Alta region, Bodegas Bilbaínas is worldwide recognized as the creator of great wines showcasing exceptional intensity and concentration. Viña Zaco wine dates back to 1918, taking its name from one of the oldest vineyards of the Bodegas Bilbaínas. We are located in a unique area in which the Atlantic and Continental climates co-exist, offering the perfect conditions to grow the Tempranillo red grape variety. Routed by our heritage and adapted for today's wine drinker, Viña Zaco aims to offer the full expression of Spain's most renowned varietals from the best wine regions with a modern winemaking style. Inspired by the label and the same innovative spirit that made Gran Zaco a success in 1962. Historic Special Reserve known to be an unparalleled quality amongs wine experts. Viña Zaco, a new world expression of an old world favorite. Wine Enthusiast 88"Woodsy, briary aromas of leather, sagebrush and black cherry set up a firm, clampy palate. Flavors of vanilla, dill, raspberry and salt are honest and traditional for Rioja, while light oak and vanilla flavors along with scratchiness drive a crisp finish to conclusion."